You can enhance the classic Virtual Tours with animated elements like burning fire in a fireplace, or water pouring in a shower, snow falling outside the window and many other fantastic ideas and effects. 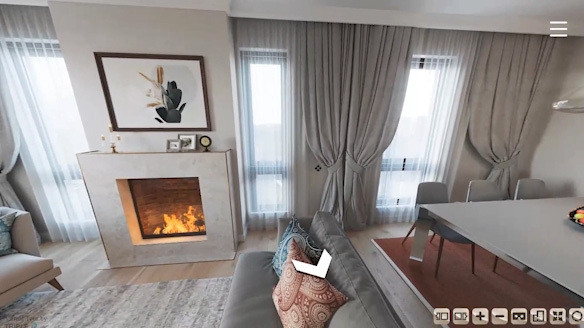 Enhancing your virtual tour with animations will make your virtual tour more attractive and lively, bringing you one step closes to a more attractive and unique presentation of your property. 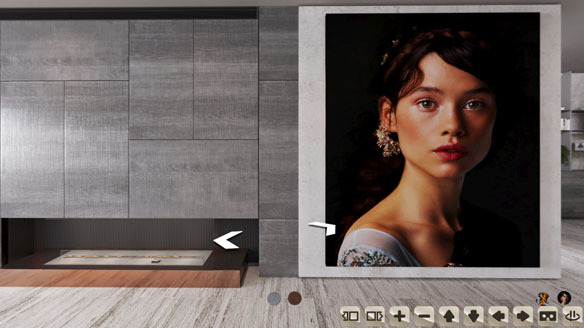 A Virtual tour enables a digital visit of the planned property. Having a virtual tour of the property helps a lot to settle expectations and to understand how the property is going to look, extremely useful when a property is undergoing construction or planning and it's impossible overwise to visit or see it. Our virtual tours include a 360-degree view of each room, where and you can navigate to different locations or rooms. We produce virtual tours using 2 different technologies - In first, utilizing the WebGL technology, allows you to experience the property by lookalike video game where you navigate around the property using keyboard. The second option utilized by Unity engine, you travel between rooms and locations by clicking on pre-defined "viewpoints". No special setup is required and those virtual tours work via internet using just your browser. they can be easily viewed via any computer, tablet or mobile device and as a feature bonus - they are pre-made to work with VR Glasses to enhance the virtual tour experience.